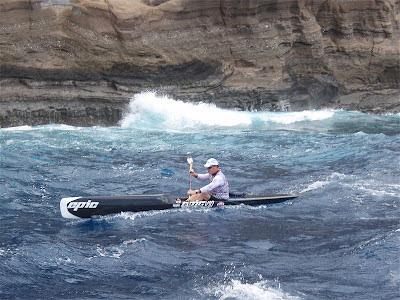 At 49, Oscar Chalupsky makes even bigger his legend by winning his twelveth Molokai last Sunday. 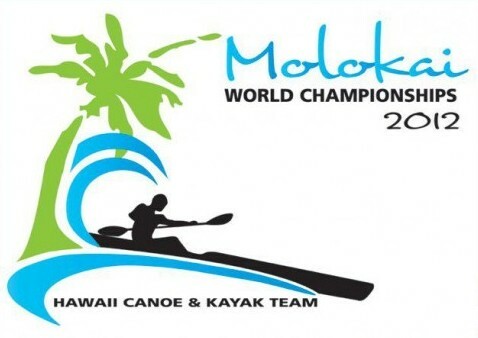 This race, included in the Sursfski World Series, takes part from Molokai Island and goes through the Kaiwi Channel to end up at Oahu, in the island of Hawaii. 52 kilometres of perfect downwind on the Pacific Ocean. The overall victory went to the doubles of Olympic champion Greg Barton and his partner Zsolt Svadovski, with Chalupsky seconf at the finish line and first individual, while third place went to another Olympic gold medalist, Clint Robinson, showing the great level of this race. From the very start, contestants showed different tactics. The young local star Patrick Dolan took on his own a Southern way, having a solo paddle for most of the race. The big group, with Chalupsky, the South African Bouman and Australians Gardiner, Kenny, Taylor, Tutt, among others, took a straight line, while Clint Robinson and Barton/Svadovski chose a Northern route to paddle both boats together. Chalupsky, seemed to be in trouble and lost contact with the main group after being caught by the wave of a support boat. On the other hand, Dolan looked on the lead in his route, even taking on account that the angles in the sea can be tricky. Bouman showed a really strong performance for the two first hours of the race. Robinson, at the North, set a very demanding pace, as usual in him. The Australians, sttarted slowly to pay the exigence of the leading bunch and started to fall off from Bouman's company. Then, after two hours, it was Bouman who looked to be leading the race. Robinson, suddenly turnd South and tried to seize the downwind and some big bumps in his route. He crossed in front of Bouman and approached Dolan's route, who still looked very advanced. Bouman was pushing very hard, but then started to slow down a bit. After the race, he recognised having felt sick, by deshydration or a bad food taken before the race. It was then when an almost dissappeared Oscar Chalupsky, who was paddling more than 400 metres behind, seemed having recovered all his strength and over passed very easily the group of Kenny, Tutt and Taylor, approached Gardiner and both, with the South African ahead, surpassed Bouman too. When arrived to the fist rocks of Hawaii island, Chalupsky was clearly in the lead, closely followed by Gardiner and Robinson, who left the South route to approach the coast, as Dolan did too, some meters behind them trying not to loose contact. Once they turned at China Walls and faced Oahu, Chalupsky was clearly on the lead, even more after getting a nice bump, paddling hard to make the gap even bigger. Robinson started to suffer crambs in his arms (as it happened to him at The Doctor, in Perth) and Gardiner couldn't resist the pace anymore and slowed down a lot, even being surpassed by Dolan. You can check the full results at this link.